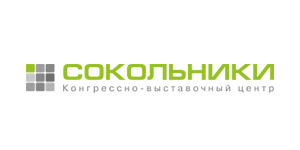 From 19 to 21 September 2018 the VIII International exhibition of pet products "Parkzoo" was held in the Sokolniki Moscow exhibition center. 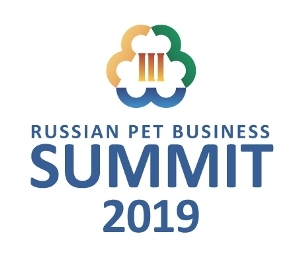 This is the largest Russian meeting platform for the professional community: manufacturers, representatives of wholesale and retail trade, veterinarians and breeders. More than 11 500 people visited the exhibition in three days. This year the number of Parkzoo participants increased by 11% and amounted to 250 companies. The exhibition area increased by 20%, as the exhibition was located in five pavilions. The exhibition has once again confirmed its international status having gathered representatives of seven countries: Russia, Italy, Belgium, Israel, China, Germany, Belarus. Foreign companies accounted for 10% of exhibitors. This became possible thanks to the cooperation with the Italian exhibition “Zoomark”. “Parkzoo” provides excellent opportunities for establishing contacts and entering our market, and European manufacturers are already looking for Russian distributors. The registration of visitors was conducted in electronic form. According to the Expodata system, more than 11 500 people visited the exhibition in three days. These are top managers, managers and specialists of companies. The largest share of visitors came from the retail sphere, i.e. 37% of guests are involved in retail. Visitors of the exhibition"Parkzoo 2018"
The zone of novelties collected the most innovative, significant and interesting products having entered the Russian market over the past year. It served as a guide for visitors as it is convenient to see all new at one site, and the size of "Parkzoo" is growing, so it is important not to miss anything. This year, the organizers have changed the conditions of participation and the selection of goods was more stringent. As a result, the number of exhibits decreased, 107 positions were presented, but the area became more structured and informative. This year the visitors were able to choose the best innovations in their opinion in each category by voting with their badges on the Expodat terminal. 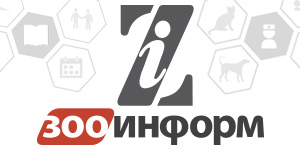 "Parkzoo" always offers a compact, very rich and relevant business program. On September 18, the day preceding the exhibition, was held the open Autumn forum of the Union of Animal Industry Enterprises. It gathered a record number of participants — almost 400 specialists in the pet business and veterinary medicine. 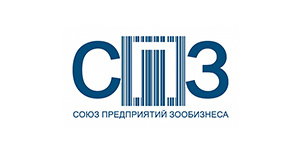 The round table on the implementation of the electronic veterinary certification system "Merkuriy" and the report of Polina Kotova, analyst of the Department of software implementation and maintenance of the Data processing center of the FGBI ARRIAH (system developer) were in the highlight of the program. The report of the retail and marketing expert and business consultant Nick Deschamps about client-centricity in business gathered as always a full house. The audience learned how the seller should change with the changing buyer, how to create a new generation pet store, how to work with assortment and pricing, how to communicate with the client. The traditional Autumn veterinary conference (organized by the Association of veterinary practitioners) this year was devoted to dermatology and ophthalmology. Great interest was aroused by the lectures of Svetlana Belova, a graduate of the European College of veterinary dermatology (DipECVD). The Second autumn cynology conference organized with the help of the Kaskad and Konstruktiv companies covered a wide range of issues common to animals and their owners: from the difficult relationship between dogs and cats and the fight against phobias in dogs to helminthiasis. The Grooming Festival Groomingfest 2018 gathered a great number of spectators, participants and fans. It moved to a more spacious pavilion and assembled about 140 contestants (with their four-legged models) and more than 150 participants in master classes on grooming cats and dogs. For the first time the festival hosted the international competition of EGA groomers "Show grooming for dogs" and the all-Russian competition of groomers "Pet grooming for dogs". 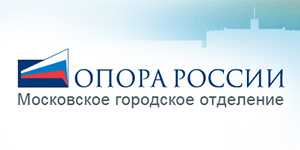 "Parkzoo" is the most important and large-scale Russian business event in the industry. 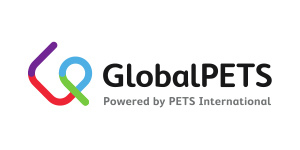 According to the majority of pet business professionals, this exhibition is the best place to meet and to communicate, to sign contracts, to discuss topical issues, to find new contacts and new ways of business development. ARTIS Expo, the organizer of the exhibition, has already begun preparations for "Parkzoo 2019", which will be held from 18 to 20 September 2019 in the Sokolniki Convention and Exhibition Center.